The BBC has announced they will be broadcasting the World Cup in 4K this summer. Great news for those who have bought their 4K televisions! However, in order to be able to view the stream in 4K, you will need a broadband connection achieving 40Mbps. So what does this mean? And what do you need to know? For residential broadband users, 'Superfast' FTTC (BT's Infinity and Sky's Fibre service) is delivered at 2 speed options - 'up to 80Mb' or 'up to 40Mb', so for those who had opted for the cheaper Superfast service, they'll likely need to upgrade to the 'full speed' service. BT had turned up their lower priced product to 55Mb, but in reality you'll need to run a speed test to determine whether your broadband can cope. For those streaming more than 40Mb, you'll be able to view in 4K but those between 20mb and 40Mb will see it in 'half-4K' (2560 pixels), and everyone else will be viewing in HD. Use https://www.thinkbroadband.com/speedtest to test your connection and they'll let you know what resolution you will be able to see. The second factor to consider is, who else in your house is going to be using your bandwidth? If other members of your household aren't football fans and are hoping to catch up on their favourite TV shows on Netflix or iPlayer on another device, this will also eat into your bandwidth. The third thing to consider is network congestion. The BBC has said the number of streams available will be limited to the tens of thousands, however if the take up is high in your area then there's a good chance your network will become congested and you may see broadband speeds struggle due to the number of people demanding internet from your local exchange at the same time. So, business users... 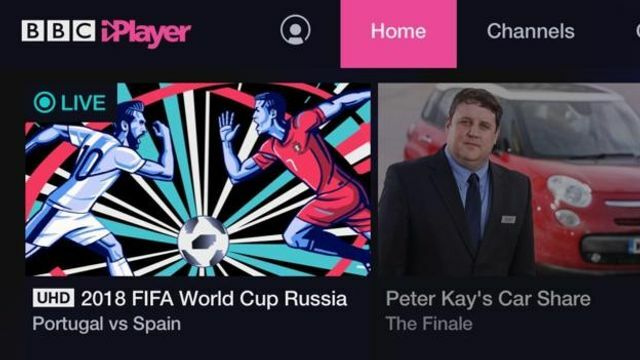 If you've looked to cut costs in the past and have used a residential or contended broadband product as your business connection, you may see things slow down as people tune into the games over iPlayer. There has never been a better time to look at upgrading to an uncontended private connection utilising the £3,000 vouchers from the Government. Contact me on 0131 3000103 or martin@2circlesconsulting.com to see how we can help you access this funding.